I was disappointed that you commissioned someone unfamiliar with the territory to review my book, From Gutenberg to OpenType (Eye no. 61 vol. 16). While I appreciate attention for the book, I would have preferred that the review dealt more specifically with its content, rather than make it a platform for a polemic on the perceived failures of graphic design history publishing. My book is not a history of graphic design. It is a history of type design. It is erroneous to imply, as your reviewer does, that histories of typography are all ‘perceived as the handmaiden of studio practice’ and ‘sold as a guide to designers’. Modern Typography by Robin Kinross and 500 Years of Printing by Steinberg are just two of a vast canon. My book intends to show that typefaces maintain a unique place in our culture. To describe them as ‘examples of old faces in new contexts’ is to misunderstand their significance. Some were originated hundreds years ago, stamped into copper matrices, but are now generated from digital matrices. They have survived history and technological change, and many are far more widely used now than when first cut. They are not reproductions but technological upgrades. I make no apologies for producing a ‘handmaiden of studio practice’ – what better use of history than to use it to inform modern practice? 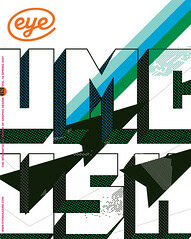 Typography is a unique form of design, carried out with readymades, and as such requires the manipulation of technical, aesthetic and linguistic constraints, which bear upon the approach required for its study.